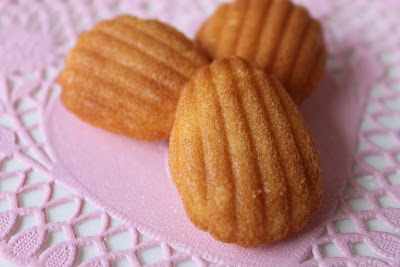 Last Saturday, I experimented with making madeleines for the first time. I had purchased a madeleine pan around the holidays and felt it was time I put it to use. This will definitely go down as a learning experience for me. The batter was easy to make - it did have to set in the refrigerator for several hours (or overnight, if necessary). I did substitute pure orange extract for the orange zest. Now, here's where the lessons were learned. I realized quickly that I have a mini madeleine pan instead of a standard pan so I had to figure out how much batter to put in the molds. I overfilled a few and underfilled a few until I found just the right amount. The recipe called for the oven to be at 400 degrees. This turned out to be way too hot in my opinion. The bottoms of the cookies baked very quickly while the tops were still pale and underbaked. I adjusted the heat to 350 and that seemed to work much better. So, the third batch was the charm but, by then, the batter was gone. 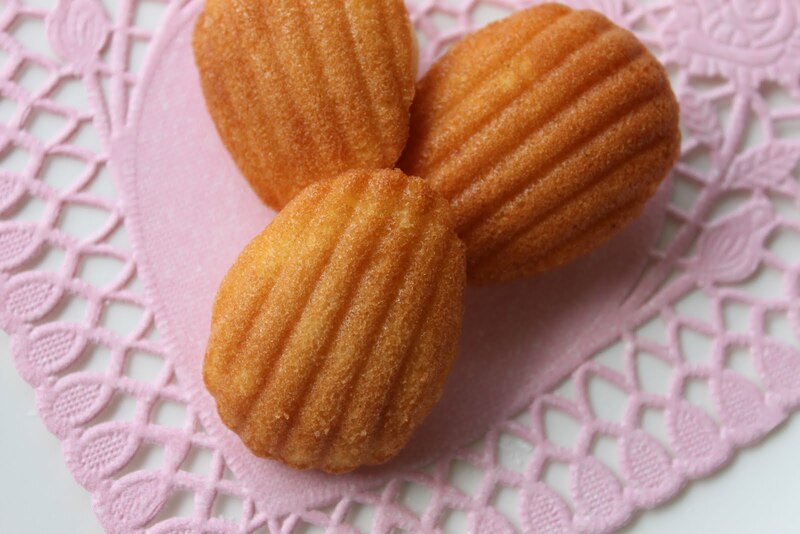 It was a good learning experience and I feel confident that I'll have a much more successful madeleine making experience in the future. They're such pretty cookies and I can only imagine their versatility by using different flavored batters and by using them as a base for other desserts. Besides, my kids loved them and ate the entire batch - dark bottoms and all. 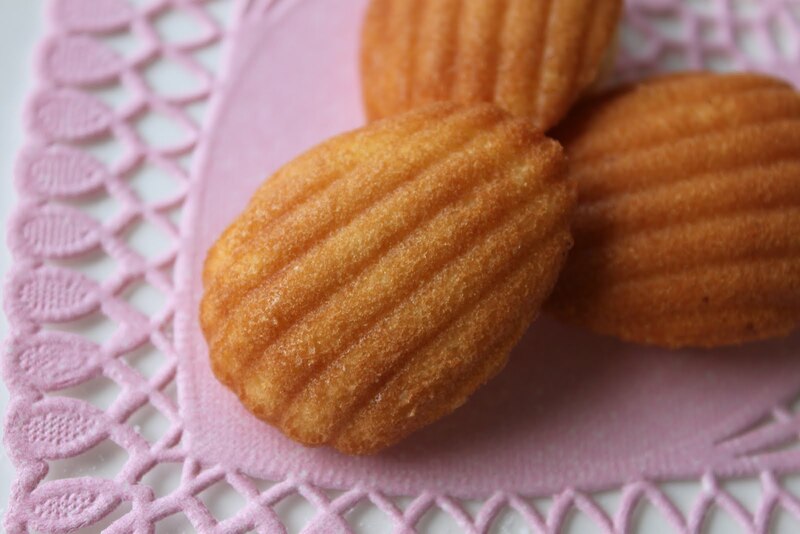 We love Madeleines at my house.. especially my grandaughter, Madeleine! My DIL bakes a mean batch. I'll see if she'll share her recipe. 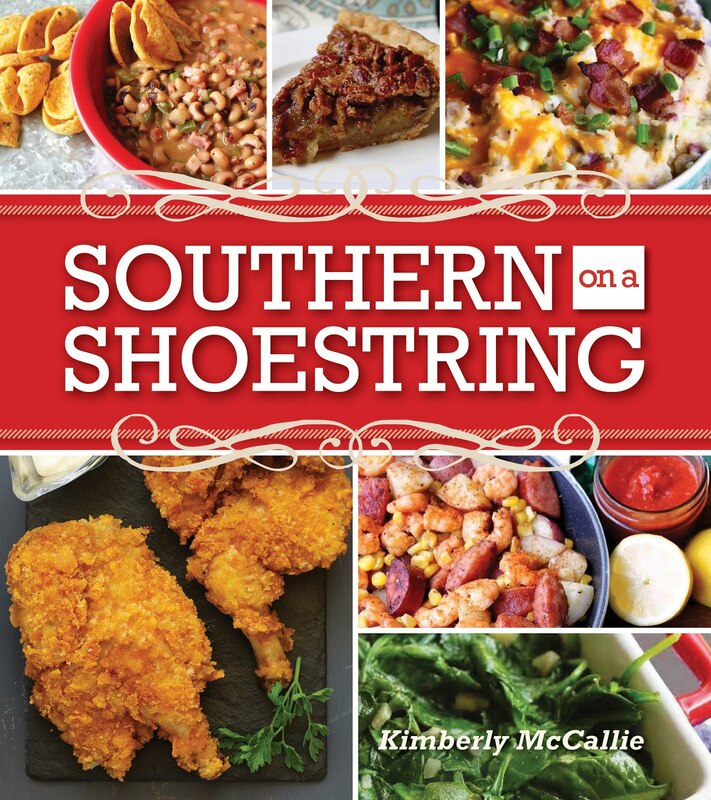 I've always want to make these but had heard they were a little finicky. I'm so impressed that you stuck it out until they were perfect! Great job! Non-stick pans always need to be turned down at least 25 degrees because it will make whatever you bake on them cook a little faster and get a little darker otherwise. Most non-stick pans also recommend not using non-stick spray with them as it can damage the coating. For best results on this one, buttering the molds is best. Partly because of the light buttery taste it adds to the surface of the cookie. Hope they tasted delicious, despite your couple of setbacks! @Jen - Thanks for sharing your baking knowledge. I love learning new things. I'll try butter next time. These are just adorable! Thanks for all of the tips with these! Baking is such a yummy learning experience! My mom loves madeleines, so I need to learn how to make them too. Your madeleines came out so gorgeous looking! And the heart-shaped doilie is really cute too.